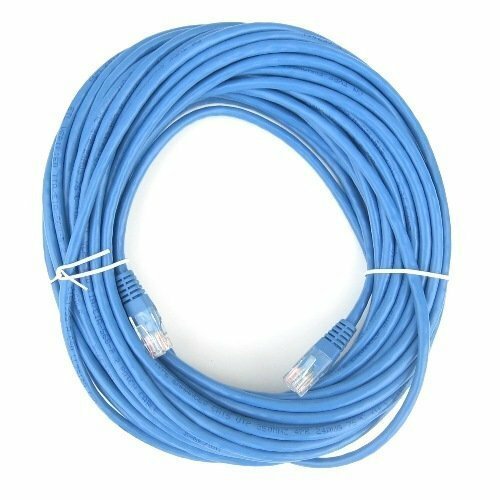 BlueRigger(TM) Cat5e ethernet cables are premium quality cables for your Laptop, Desktop computer, Xbox 360, PS3 or any other network setup. These cables are certified to support upto 1Gbps bandwidth for blazing fast downloads and HD video delivery over long lengths. Gigabit performance BlueRigger Cat5e cables are fully tested to deliver upto 1Gbps throughput and can work with 10 Mbps, 100Mbps or 1Gbps equipment. Features Industrial grade construction for long life and durability. Guaranteed compatibility with all ethernet equipment. Blazing fast throughput (upto 1Gbps) for all your HD viewing, huge downloads and real time gaming needs. No snagless boots which can cause problems in inserting into ethernet jacks. Simple plug and play. Premium quality at an affordable price. Warranty All BlueRigger Cat5e ethernet cables are backed by a full 1 year warranty. Please contact us via email if you have any questions.